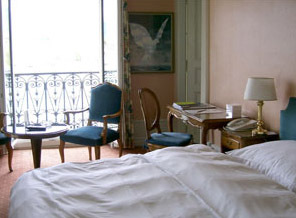 Dating from 1865, the Hotel de la Paix retains its 10th Century elegance. A skylight crowns the dramatic six- story lobby graced with marble-styled columns, crystal chandeliers and valuable antique furniture. Enjoying a breathtaking lakeside location, the hotel is in the heart of fashionable Geneva and within easy walking distance of the main shipping areas and business district. For those in need of a breath of fresh air, the hotel arranges boat drips on lake Geneva for spectacular views of Mont Blanc and the Alps. Alternatively, retire to your room and simply glance out the window... Geneva Hotels have been divided in 3 main categories : Luxury Hotels, Charming Hotels, Cheap Hotels, Of course the price and the level of service and comfort depend on the category - If you want to see all hotels listed please select your prefered hotels category and see our exclusive hotels rates - We wish you a pleasant stay. Hotels-geneve.com is dedicated to Geneva and its hotels - This site also provide information about the city itself and the tours opportunities departing from the city - The De la Paix Hotel is one of the most exclusive properties selected - Room rates have been negociated and should be very competitive. We hope that this Geneva Luxury Hotel Website will help you in planning your trip - Thank you for visiting Hotel de la Paix website page : Booking and online reviews.